Normally, I interview real live people. But today, I thought I’d let one of my characters have her say. So joining me on the chaise longue today for some Corsican vin de myrte (myrtle berry wine) and a bit of bean-spilling is my main character from The House at Zaronza, Maria Orsini. Vanessa: Tell us a bit about yourself, Maria. Maria: I was an only child, the daughter of a bourgeois family in a village on the Corsican coast. A new schoolmaster, Raphaël Colombani came to the village in 1899 and we fell in love. But we had to meet in secret, since my parents would not have approved. You see, we were of different social classes and my father was convinced that all teachers were socialist firebrands and atheists. Raphaël and I wrote to each other and met in secret. We hid our letters at the village shrine to Santa Giulia. At the beginning of the story I suppose I was a rather self-centred, naïve young woman. My best friend, Sophia, was much more sensible and mature, as my parents regularly pointed out. But as time went on, my character developed. I have a capacity for organisation and the ability to endure adversity, both of which I have needed. What appealed to you so much about Raphael? You have to understand that I led a sheltered life with my parents, who watched me closely. So, at 20, I had very little experience of men and the world. When Raphaël arrived, who had travelled and lived in Marseille and knew so many things, I was dazzled by him. Sophia was more intelligent and well-read than me, but Raphaël never treated me like an ignorant girl. He treated me as a woman, with respect for my opinions. He was also perceptive enough to see aspects of me that even I didn’t recognise. Oh yes, and he was handsome. I was very pretty, but then so were other girls in the village. I never quite trusted him, even though he always swore he was faithful to me. What is the main conflict in your story? What ruins your life? Naturally, I wanted to marry Raphaël but my parents had other plans for me. They want me to marry my cousin Vincentello to keep the family possessions together. Since he was the son of my father’s brother, he also had the name Orsini, so the family name would continue as well. My scheme to avoid marrying Vincentello was thwarted by circumstances and by the actions of someone close to me. But I can’t say any more or I’ll give the plot away and you won’t like that. What was your personal goal? At the beginning of the novel, it was simply to lead a more interesting life and escape the deadening boredom of life with my parents in Zaronza. Later on, I wanted to do something useful, so I trained as a nurse during the Great War, first in Corsica and then in a field hospital at the Western Front. When the war ended, I decided to try to find Raphaël again. Some surprising things happened and the ending is not a predictable one. How does it feel to be a figment of my imagination? Well, I don’t feel like one. And anyway, the person you based me on did actually exist, although little is known about her since she was not an historical figure. I have a different name as well. I think I started to develop a life of my own and by the end of the book I was acting in ways you had never envisaged at the beginning. You even shed a little tear when you typed ‘The End’, since you had become rather attached to me. If Raphael had left Corsica, would you have gone with him? That’s very difficult to answer. I loved Raphaël but I also loved Corsica. I spent several years away from the island during the war and not a day went by without my longing to see it again. I couldn’t imagine living anywhere else. 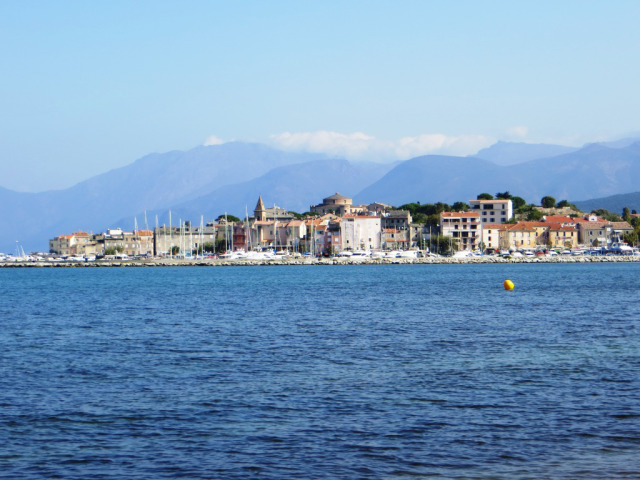 Corsica was a part of me and you’ve said that it’s almost a character in its own right in the novel. You invented the village and its name, Zaronza, based on a mixture of different Corsican villages. But even though it was made up, I loved my village and the house I lived in and the view of the mountains across the bay. I would have found it very hard to give them up. Thanks for joining me today, Maria, although you are never far from my thoughts. Maybe you’ll live again in another novel. And at Smashwords, The Book Depository, Barnes & Noble and bookstores. You can connect with me and Maria on my Facebook page, Vanessa Couchman – The House at Zaronza. 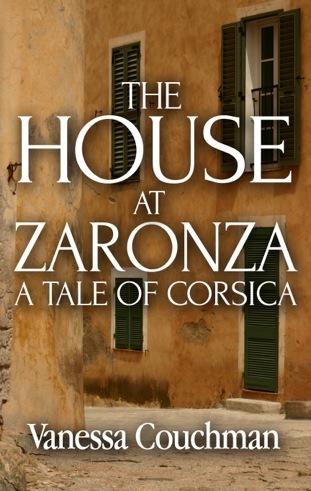 This entry was posted in Corsica, Fiction, Historical Fiction, Novels and tagged Corsica, historical fiction, historical novel, Maria Orsini, novel character, The House at Zaronza, Vanessa Couchman by nessafrance. Bookmark the permalink. My main character, Maria Orsini, is itching to have her say, so I’ve granted her an interview on my blog. She tells us about her hopes and fears and how it was to grow up in late 19th/early 20th-century Corsica. I love it. It brought back great memories of reading a great book. Did it feel a bit like talking to yourself though? Thank you for the kind words about the book. This will sound a bit silly, but Maria was almost like an imaginary friend to me while I was writing the book – and even beyond. So I did almost feel as if I were talking to a real person. Her character is very different from mine, too. Naturally, it’s a bit contrived, but I do feel that those are the responses the Maria character would have given. I am currently reading The House at Zaronza and finding the story intriguing, Vanessa. I will be writing a review once I finish this compelling novel. I’m pleased you’re enjoying it, Chris. Thank you for saying you will review it. I look forward to reading it.